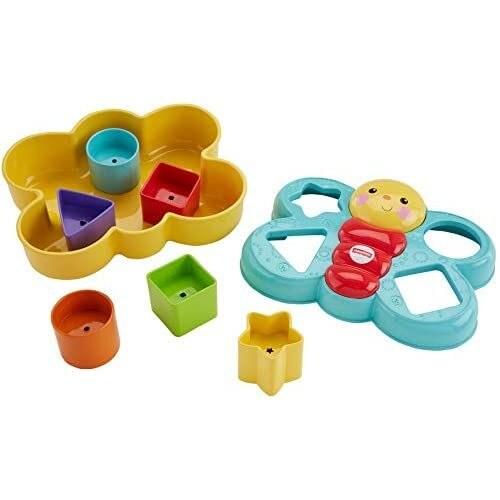 Offers fill & spill play for younger babies! 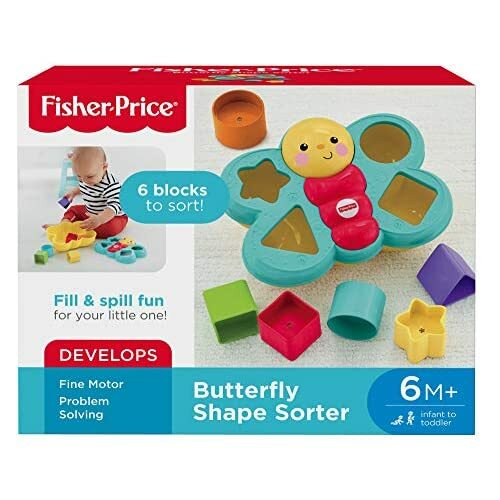 This fun butterfly friend comes with six colorful shapes for fill-and-spill and sorting fun! 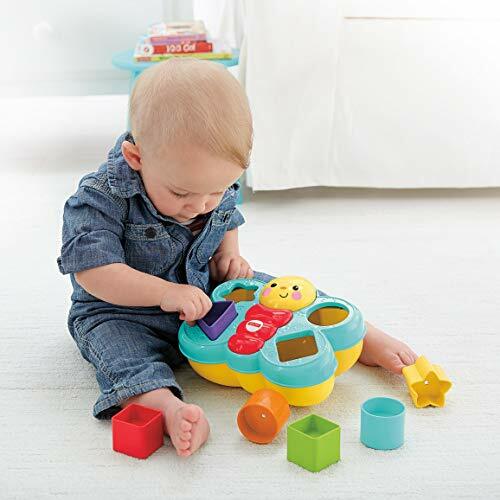 Even the youngest baby can remove the top for put-and-take play. 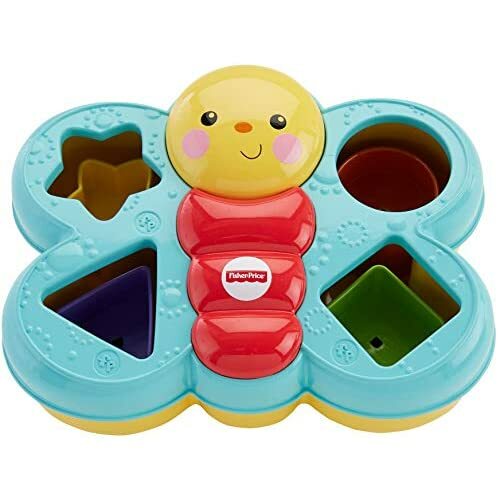 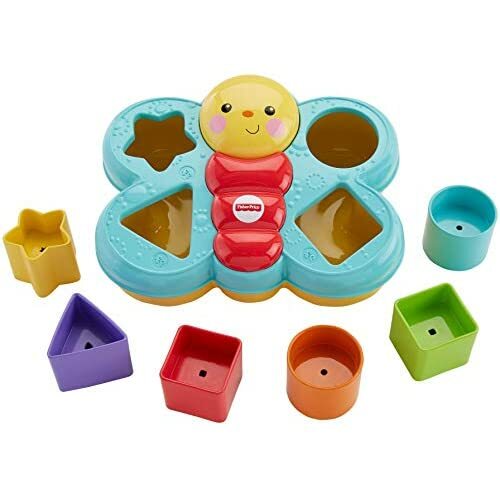 As baby grows, fitting blocks through the openings on the shape sorter lid helps her develop important fine motor skills like finger dexterity and eye-hand coordination. 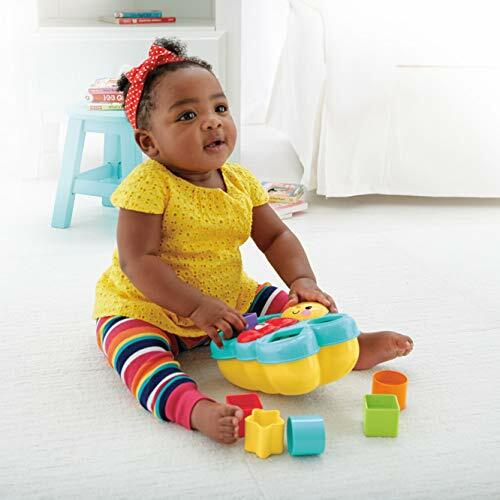 And it's so much fun to dump the blocks out and start all over again. 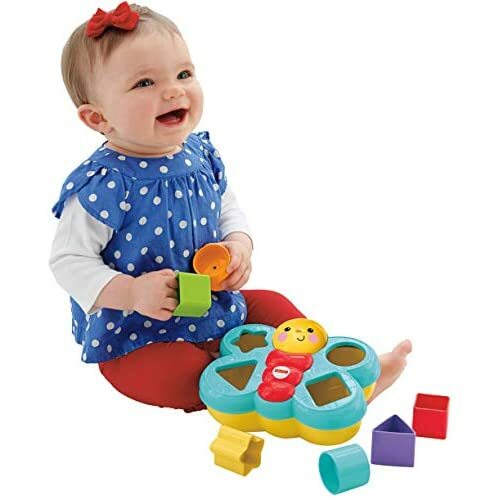 It's even a fun way to introduce baby to shapes and colors!.